This was inspired, in part, by this LOLcat, and this Bittersweet Candy Bowl homage. 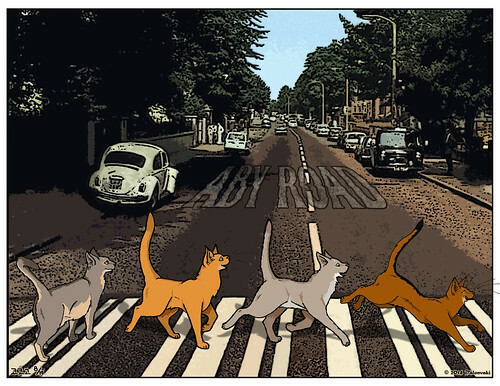 The background comes courtesy of Rabbittooth on DeviantArt, who wanted to do an Abbey Road parody and wanted to help others with the same ambition. Thank you! !